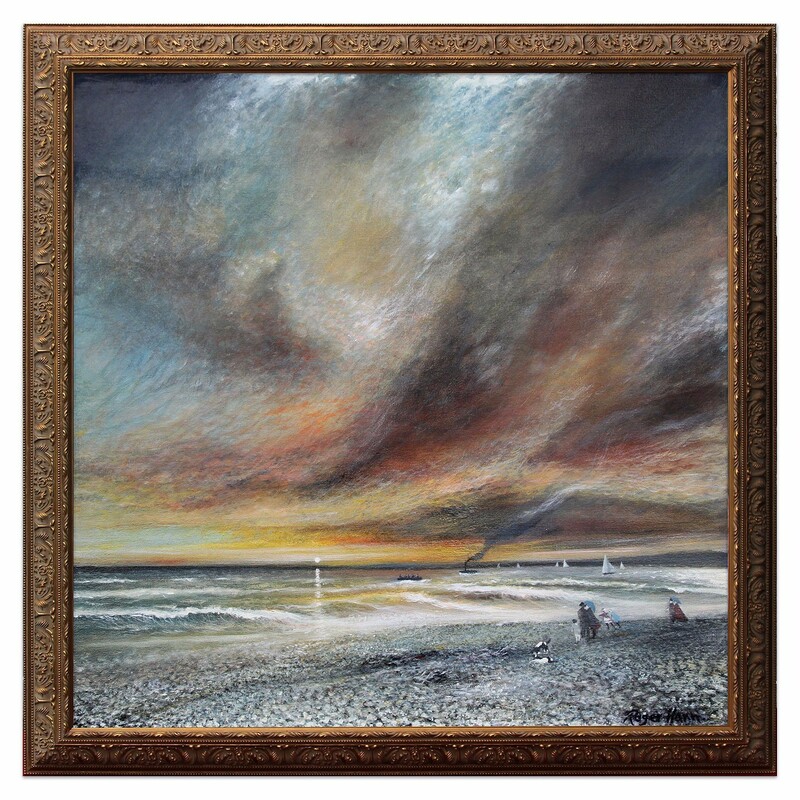 British artist, Roger Hann, has always been passionate about painting since an early age attending Exeter Art College, in Devon. 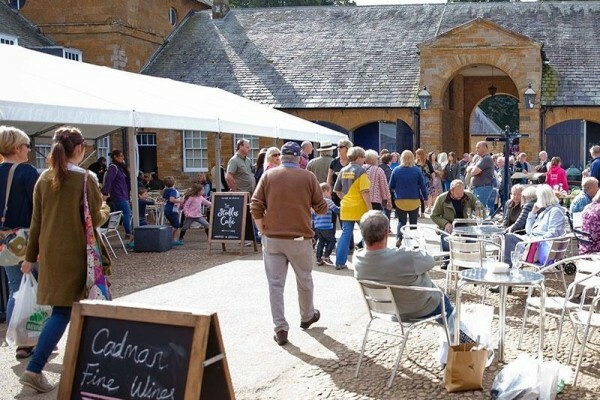 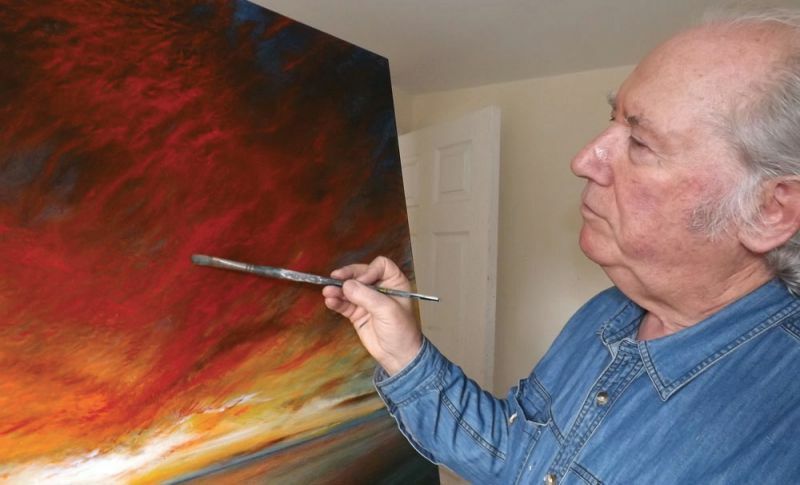 Roger developed his technique at every available opportunity but retirement has allowed him to fully immerse himself in painting, predominately in acrylics and his prolific work is widely represented throughout the West Country. 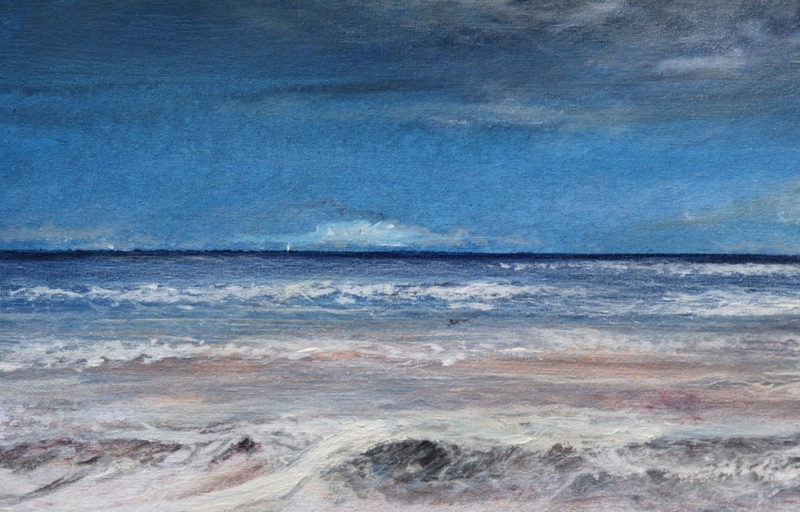 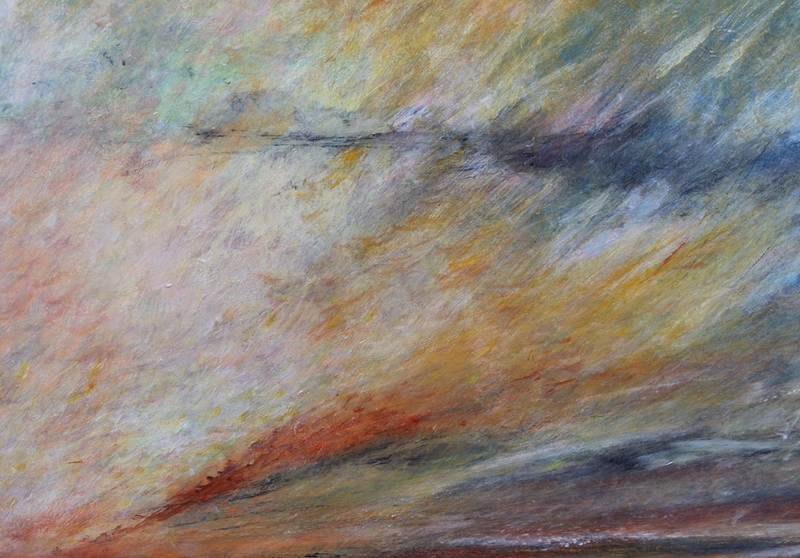 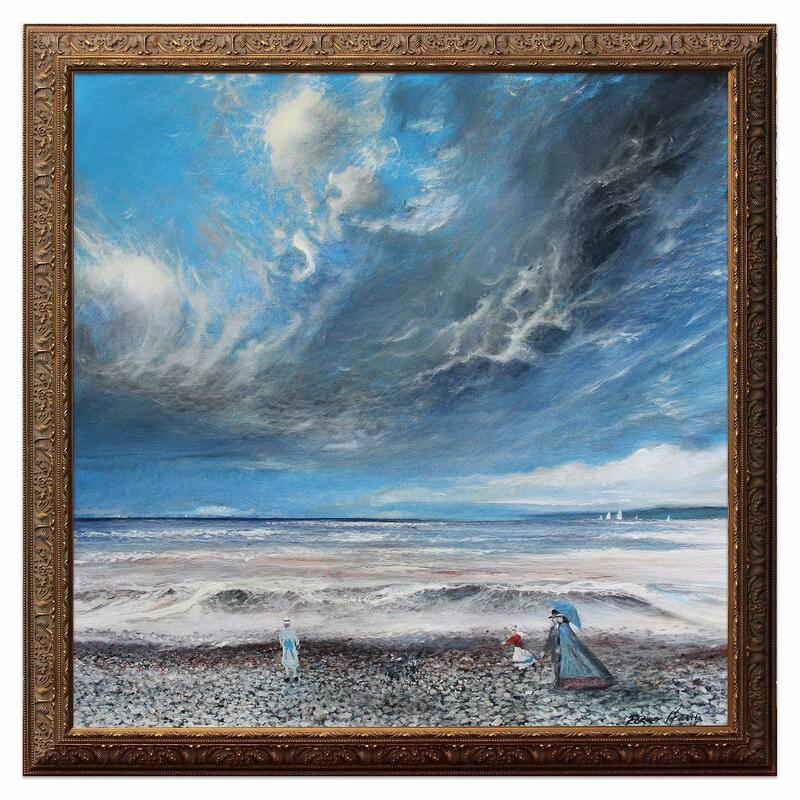 Roger has this extraordinary visual memory and from his imagination transforms what he views and feels on his many walks along the East Devon Coast onto his blank canvas in his studio. 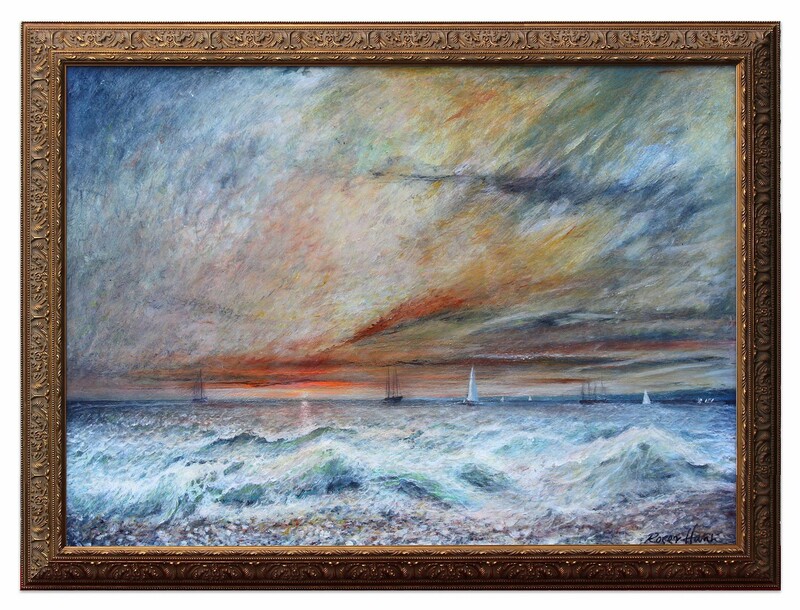 The structure of the sky and sea gives a feeling of calmness but also of movement, which give the whole composition a beauty of nature, as intended. 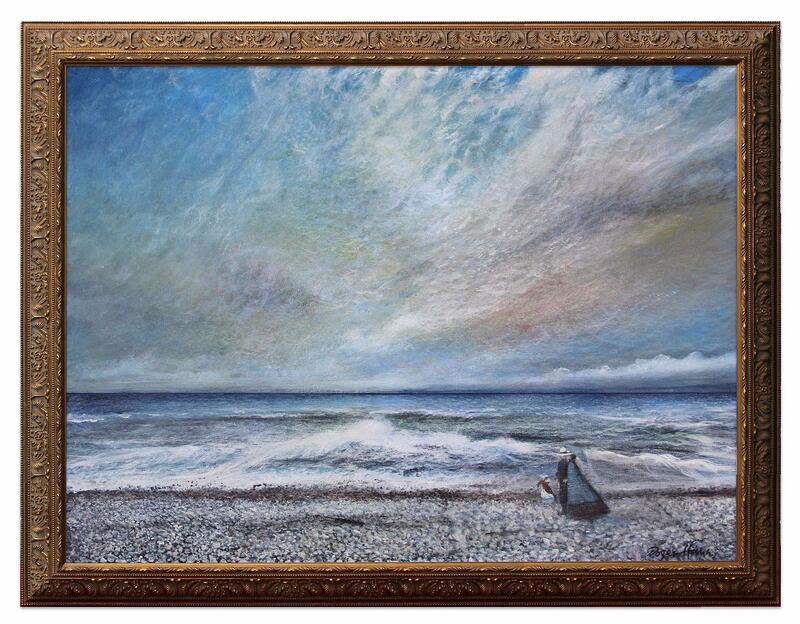 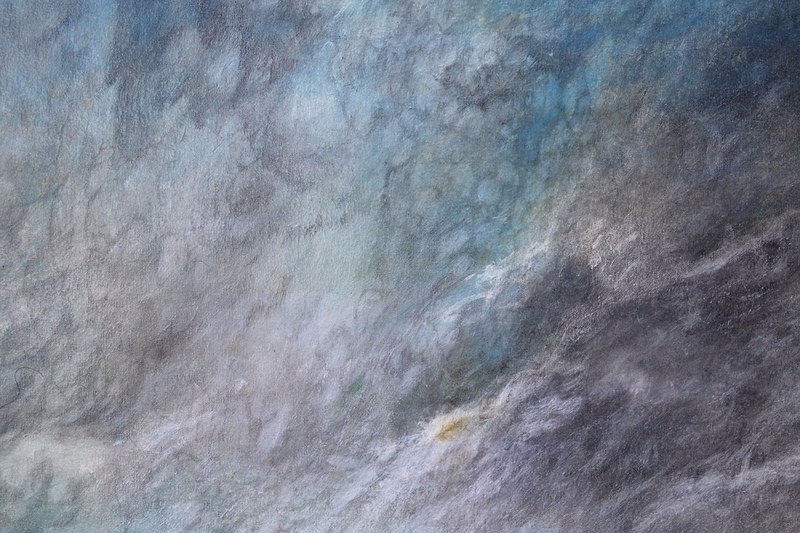 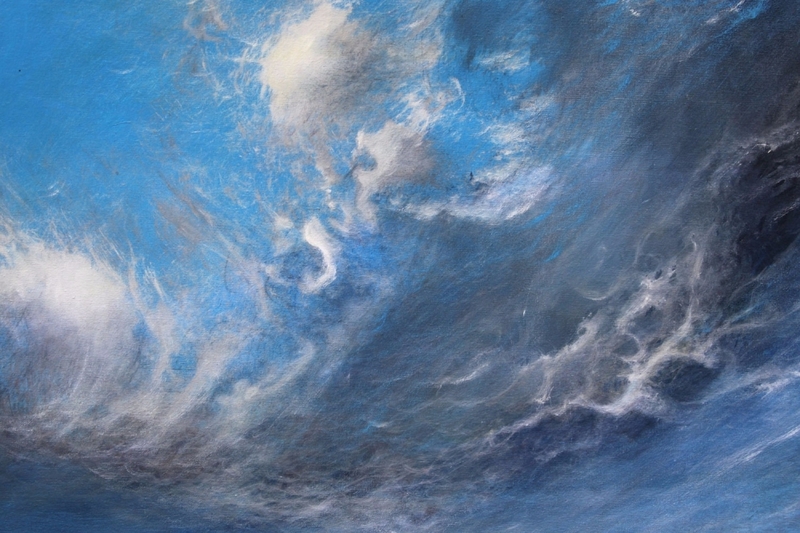 The subtlety and gentle lyricism of his marine, cloud and seascapes marks him out as one of the country’s leading practitioners in this genre. 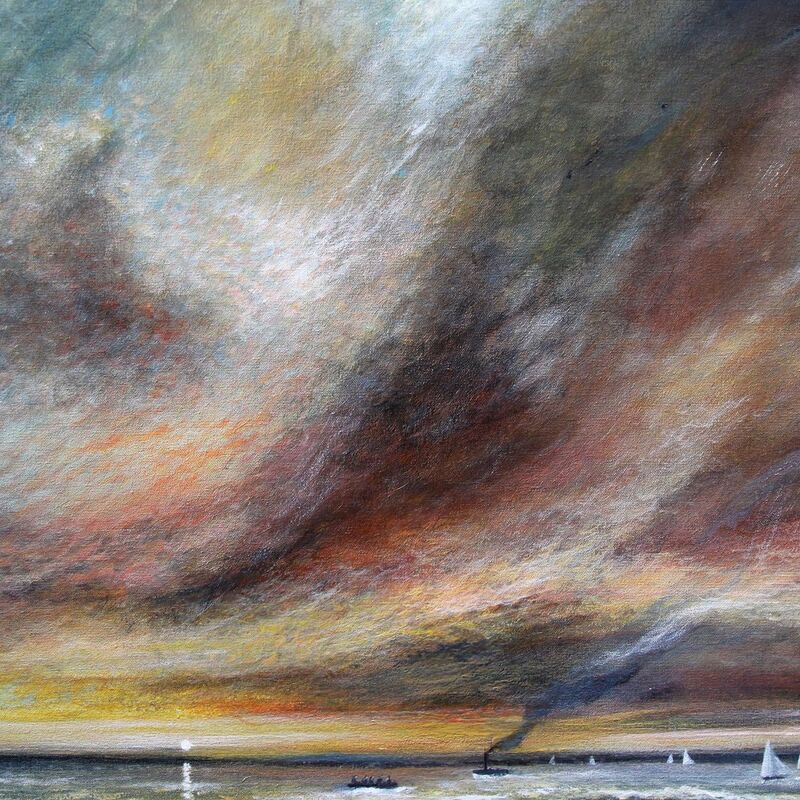 Original paintings by Roger Hann are in stock and available to purchase.